The Professional ARMOR-X Aqua Gear Series - 6 Meters Waterproof Case + Earphone Set for iPhone / Android Phone / Mobile Phone, offers TWO different sizes of Waterproof Case depends on your device! 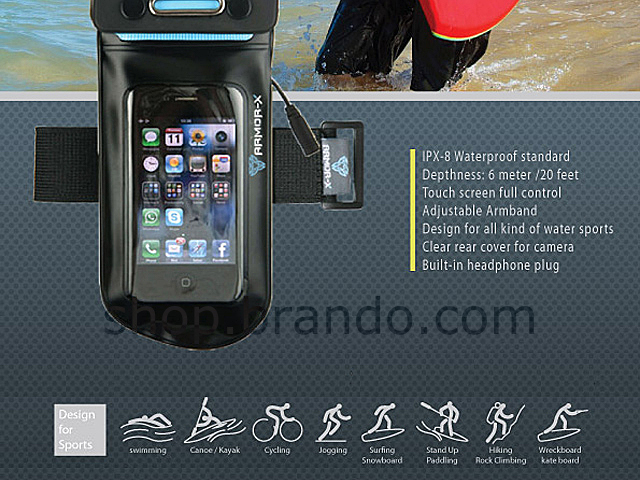 Take your iPhone/iPod Touch/Android Phone/Mobile Phone on the water-based or beach missions with this Waterproof Case, offering full use of the device while it is safely sealed away and full control of the touch screen. Also, the back camera is unaffected by the enclosure, enabling you to take photos, videos or using all touch screen functions. 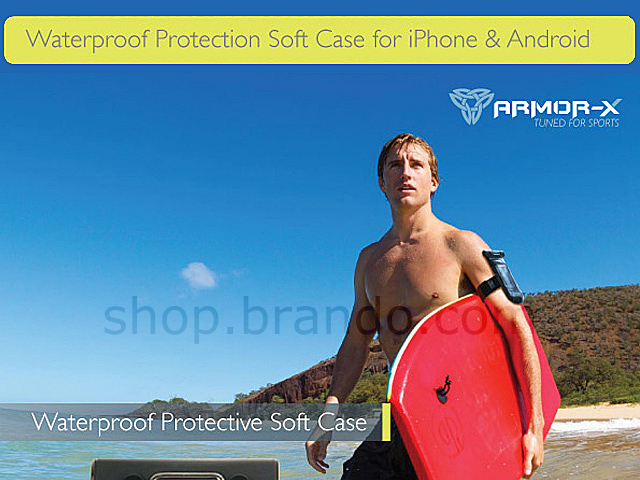 This IPX-8 waterproof standard case allows you guaranteed submersible to 20 feet (6 meters) with your devices and protect your devices against water, sands and dust damage. Also, the Build-in headphone plug and Earphone Set letting you can hear great sound during any outdoor activities! 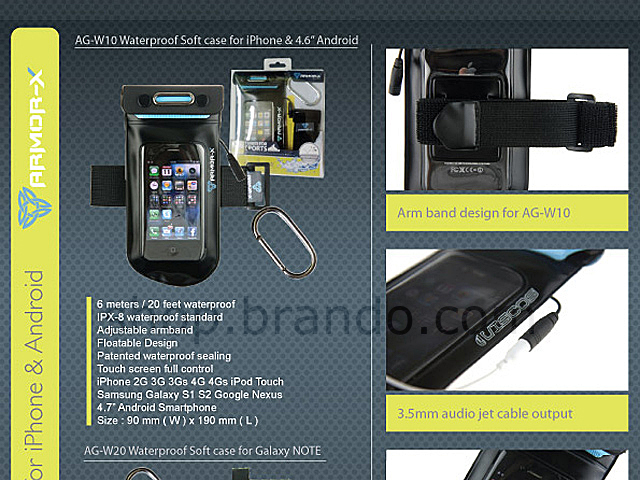 AG-W10: iPhone, iPod Touch, other 4.6" Android / Mobile Phone etc. 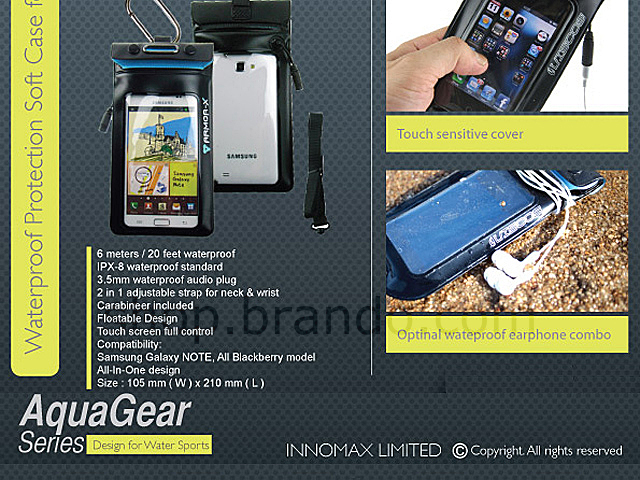 AG-W20: Samsung Galaxy Note, other 4.8" and 5.3" Android / Mobile Phone etc.